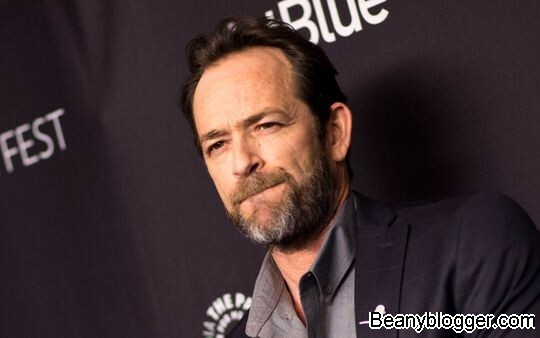 Luke Perry, who was best-known for his long-running role on “Beverly Hills, 90210,” has died after “suffering a massive stroke,” his representative, Arnold Robinson, stated on Monday. He was 52. 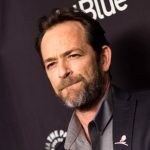 Perry, an Ohio native, was one of the early breakout stars from “90210” thanks to his role as Dylan McKay, a latter-day James Dean-type. Though he appeared to be an overnight success, that wasn’t the case. Bigger fame came when he was cast on “90210,” a huge hit for the then-fledgling Fox network and a pre-social media, water-cooler sensation that landed its photogenic cast on magazine covers. His Dylan stood out as the knowing, bad-boy loner in a group of fresh-faced rich kids attending fictional West Beverly Hills High, and the character’s romance with Brenda Walsh (Shannen Doherty) gave the prime-time soap some early sizzle. Perry left the series in 1995 after Season 6, long after it embraced hoary, soap-opera tropes, to pursue other acting opportunities. He didn’t enjoy anywhere near the same success, suffering the downside of typecasting that often accompanies all-encompassing fame, and returned for the series’ final two seasons. Perry’s first film role was not one he remembered fondly: 1990’s “Terminal Bliss,” in which he played a less redeeming version of Dylan. It was made two years before he became a star. In an attempt to escape typecasting after “90210” ended, Perry sought out roles as different as possible, including playing a preacher in the HBO prison drama “Oz” in episodes from 2001 and 2002. The same day he was hospitalized, Fox TV announced that it would be running a six-episode return of “90210” that features most of the original cast, but Perry was not among those announced. In 2016, Perry became a star with a new generation when he signed onto the comic-based CW series “Riverdale,” in which he played Fred Andrews, a candidate for mayor and father to Archie (K.J. Apa). “Riverdale” executive producers Roberto Aguirre-Sacasa, Greg Berlanti, Sarah Schechter and Jon Goldwater released a joint statement with Warner Bros. Television and CW following Perry’s death. Perry’s co-stars and famous friends took to social media to mourn his death. Fellow “90210” star Ian Ziering shared his thoughts in an emotional post dedicated to his late co-star.